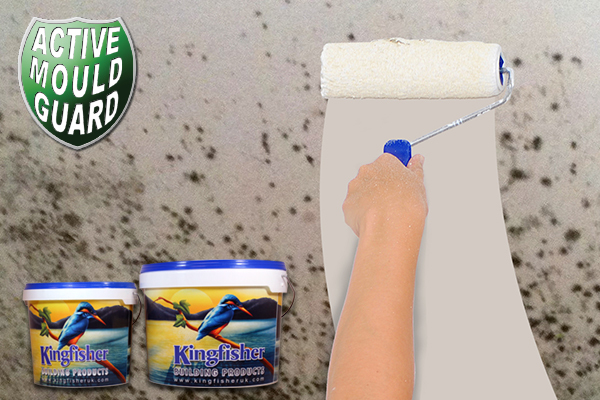 Our Anti Mould Paint offers the solution for walls suffering from unsightly black spot mould growth. Containing an active anti mould film fungicide, Anti Mould Paint (in conjunction with improved ventilation) will inhibit the future growth of black mould, mildew or algae usually associated with condensation and high humidity. Further, this anti-fungicidal paint with anti-mould action is compatible with conventional emulsion paints. 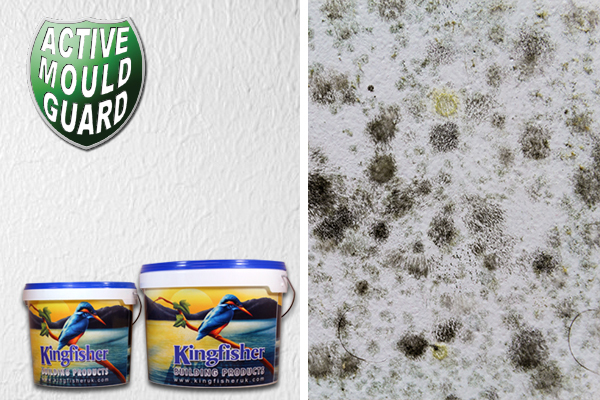 We recommend that you pre-treat any mould infected areas with Kingfisher Mould Cure. Problems with Damp, Mould, and condensation? 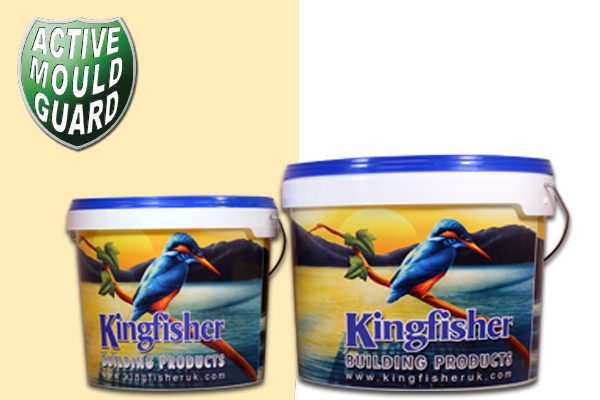 The Kingfisher anti-fungicidal paint is perfect for the majority of interior walls and ceilings marred by Mould. It can be applied to a wide range of surfaces including brick, cement, plaster and mortar. As a high quality, low odour anti-mould paint, it is resistant to the effects of condensation and is fully washable. It can be best utilised in your kitchen or bathroom as these are the areas most exposed to mould growth. Many domestic and commercial customers worry about problems with damp, as it can be expensive to resolve. The unrivalled performance of our anti-fungicidal paint is produced by using the latest paint technology with highly advanced biocides. This gives customers peace of mind that this product works to combat scenarios caused by fungal growth and mildew. If you require more information regarding how our anti-mould paint can help you, contact us today.